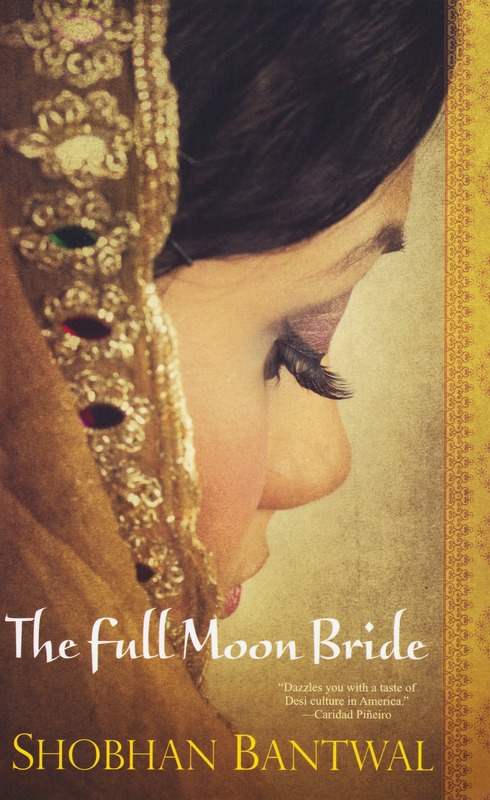 When I spotted The Full Moon Bride on my library’s new books shelves a while ago I remembered that S. Krishna had given it a positive review. I impulsively checked it out, stayed up way too late reading the first half of the book, and then, over the course of the next week . . . skimmed the rest. This may sound strange, but I’m actually proud of myself for skimming the second half of the book. As I mentioned once before, I am bizarrely obedient when it comes to finishing books. I don’t like to put down a book half-finished, even when it’s just not working for me. Hence my delight my skimming the rest of The Full Moon Bride. It’s a baby step in the right direction. Even though I had a tough time finishing it, I’m not going to rip on The Full Moon Bride. It’s a fairly decent book, and one I might have enjoyed it more were it not for one little thing: there was way too much telling and not enough showing. (Actually, there were other little things that bugged me, too, but that was the main annoyance.) I wanted to tell Soorya, the narrator, “Stop. Stop telling me who you are. Stop telling me who everyone else is. Just live your story, and I will see who you are.” The characters never really came to life for me, which is a pretty big drawback in a book that’s more character-driven than plot-driven. I do encourage you to check out other reviews before writing this book off completely. If you wrote a review, please let me know so I can add it to the list. 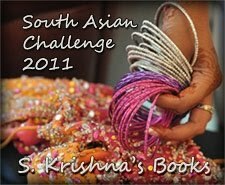 I realized when I sat down to write this review that I can count this book for two different challenges – the South Asian Challenge and the What’s in a Name? 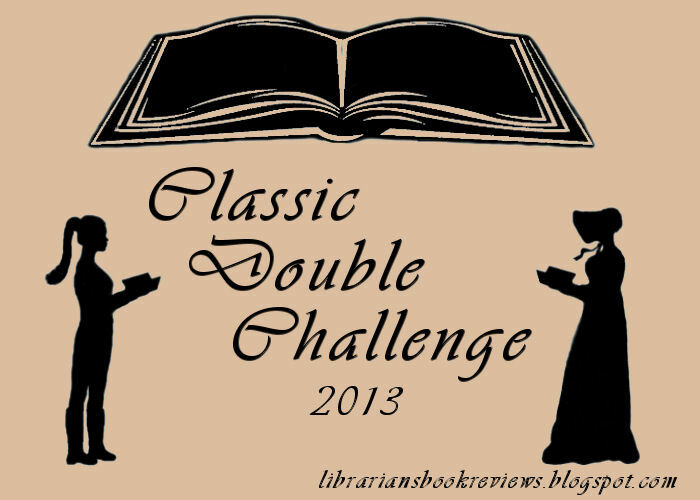 Challenge (for the “life stage” category). Yay! A Doll’s House is the March selection for the Year of Feminist Classics reading project (check out the reading list here). This is the first month I’ve actuallyactively participated in the project, and while I’m thrilled that I finallyhave the time to participate, I feel a little like I’m butting my nose intosomeone else’s conversation. Anyway. On to the play . . .
A Doll’s House is one of the only Year of FeministClassics’ selections with which I have some prior experience. During my freshman and sophomore years incollege I wrote the theater preview articles for the university paper, whichmeant that for every production I got to sit in on a rehearsal and interviewthe members of the cast who were willing to talk to me. ADoll’s House was my veryfirst preview article. I was so nervousand worried about getting the article right that I called the drama teacherat my high school to get some insight into the play and what kinds of questionsI should ask the cast. This wasapproximately ten and half years ago (go ahead and do the math; yes, I am that old!) so unfortunately I don’t remember a lot of the detailsfrom that phone conversation, the production or my interviews with the studentswho played Nora and Torvald. One of the things Ido remember is the drama teacher referring to A Doll’s Houseas “the door slam heard ‘round the world.” When I mentioned this to the student playing Torvald, he disagreed(which prompted a surprised, “Really?” from the student playing Nora). He didn’t see the play from a feministperspective at all; he viewed it entirely from the perspective of hischaracter. I wish I remembered exactlywhat he said, but, alas, I do not. Reading this playnow, I was struck by how frequently Torvald refers to Nora as his littlebird. While his manner of speaking toher drives me crazy, she does fit that pet name perfectly for most of theplay. In both her speech and mannerismsshe constantly flits about, darting and fluttering from one thing to the next,like a caged bird that just cannot settle on its perch and accept itsconfinement. It makes me wonder how muchof her caged bird behavior is a result of Torvald’s treatment of her; as muchas he cares for her, she is like a pet to him, and so pet-like shebehaves. This flutteringceases at the end of the play, when she suddenly sees herself, Torvald andtheir relationship with absolute clarity. When I read that scene, it felt as though the whole world wentstill. I knew what was coming, and yet Ifound myself holding my breath. Whenthat door clicked shut, the silence was deafening. Nora and I do nothave much in common. She is not acharacter I feel particularly drawn to, and honestly, for most of the play sheannoyed the snot out of me. But when shetells Torvald that she has a sacred duty to herself, when she says, “I thinkthat before all else I am a human being just as you are, or at least I will tryto become one,” I saw myself opening my door for her, providing her with ahaven for as long as she needed it. Idon’t know if that’s just my port-in-a-storm side coming out – that part of methat insists on being a source of stability and comfort for people who need it– or whether, in resolving to become the person she truly is, I finallyconnected with her. I suppose the reasondoesn’t really matter. Either way, mydoor is open, Nora. 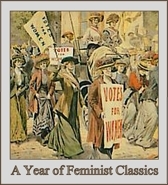 Be sure to stop bythe Year of Feminist Classics blog to follow this month’s discussion! 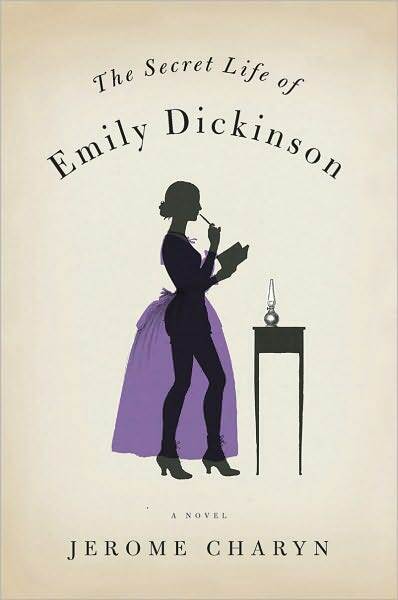 When Tribute Booksemailed me and asked if my blog would be a stop on the The Secret Life of Emily Dickinson blog tour, I was ecstatic. 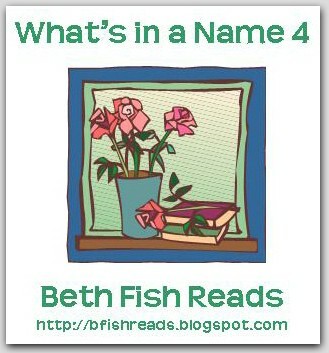 Read and blog about my namesake? Sign me up! Unfortunately myenthusiasm withered when I read the book. I feel awful writing that, but it’s true. It’s not that I disliked the book. It just never captured my interest. The characters felt like pencil sketches tome, never fully fleshed out or developed, and I found myself feelingindifferent to their story. Thosefeelings never really changed as the book wore on no matter how hard I tried. 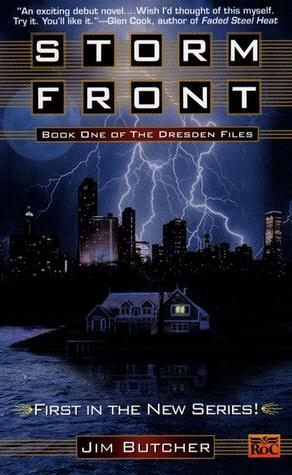 The undeveloped sidecharacters didn’t bother me as much as the undeveloped character of EmilyDickinson. She was the one I wanted to care about, but I felt disconnectedfrom her the entire time I read. 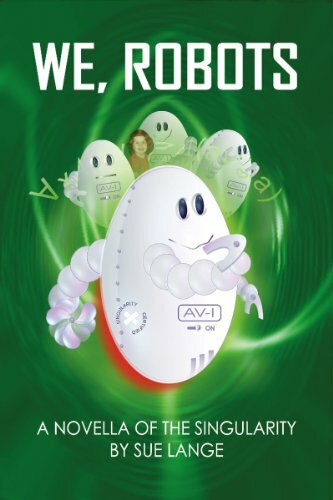 (On theplus side: this book provided a unique experience. I don’t know that I’ve ever felt sodisconnected from a first-person narrator before.) Her voice felt very inauthentic, but not in ahistorically accurate sense. (I have noidea if her manner of speaking is historically accurate; I know nothing abouthow people spoke in the 19th century.) I mean that her voice never felt real; Inever really heard her. She never felt like a real person to me, which is funny since she was. Fortunately, we arenot all the same, and what bothers one reader may delight another. Be sure to check out the other reviews! A lot of blogs signed up for this blog tour andI’m sure there are as many opinions as there are reviews. A specialthank you to Tribute Books for including me on this blog tour!